The MPD officer hurt in a Wednesday evening shooting has died, Police Chief Alfonso Morales confirms. The shooting happened after 5:00 p.m. near the corner of 28th and Wright. The MFD says one other person was injured in the incident. 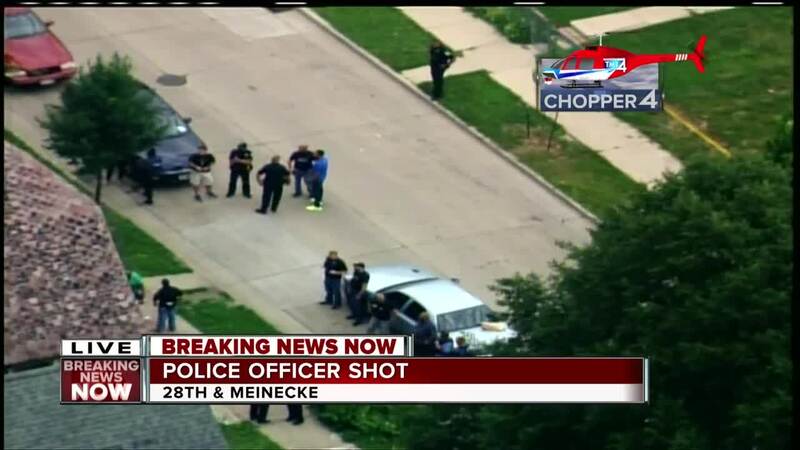 Sources say the officer was hit twice in the shooting. He is a 17-year veteran of the force. The subject who was wanted has been taken into custody. It started as a subject wanted call. A woman had called police on her son, who fired on the officer. This is a developing story. Stay with tmj4.com for updates.